Your friendly psycho is on-hand to pick off the pretty girls, for no reason whatsoever, and the police are less than helpful. 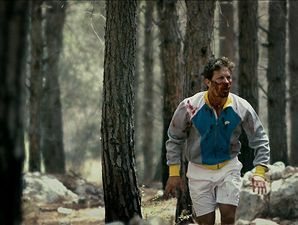 It is bloody, of course, but jumps are well paced and we stay a good distance from gratuitous pain and low budget slasher conventions. Great sound design and direction combine to keep this silly but enormously fun debut highly watchable throughout.